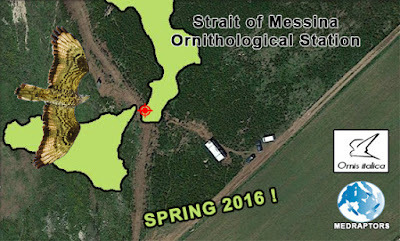 This is the third year of activity of our network at the Strait of Messina and now we are working in the view of establishing an ornithological station. The next season of fieldwork will start on the 15th of March until the end of May. We are monitoring the effect of a new powerline on the migration of birds as well as collecting data on birds movents and migratory behaviour of raptors with a radar station and from two different watchpoints. 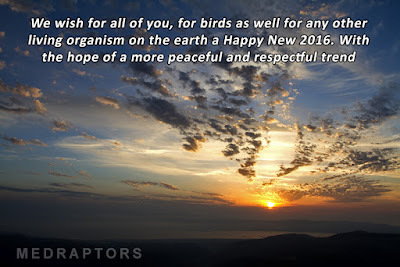 It could be the chance to observe good numbers of raptors (Honey Buzzards, Black Kites, Marsh Harriers, Montagu's Harriers, Pallid Harriers, Lesser Kestrels) moving in the area and also to meet friends and colleagues. Up to 20.000 raptors were counted from a single watchpoint last year. If you would like to join us as a volunteer you are welcome and we will provide food and accomodation.